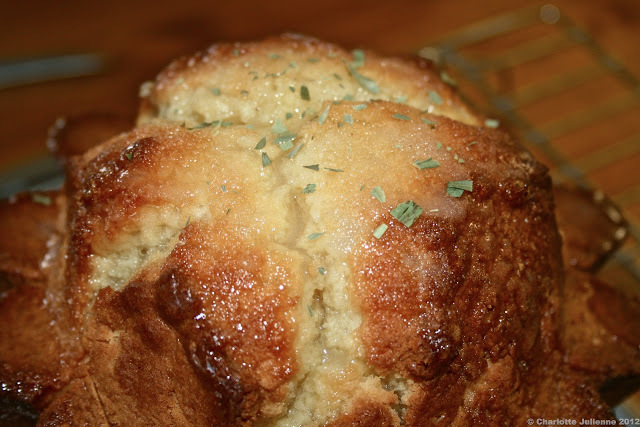 Lemon Tarragon Bread…or is it Cake? We have had a very busy few months lately and have not done nearly as much baking (or blogging) as we had hoped. With Christmas almost here, the one thing I wanted to be sure to bake was my grandmother’s lemon bread. Growing up it was always one of our favorites and brings back a lot of good memories of my grandmother cooking in her little kitchen. We decided to change the recipe a little bit with addition of tarragon. We began by creaming the oil and the sugar. Add the eggs and set aside. 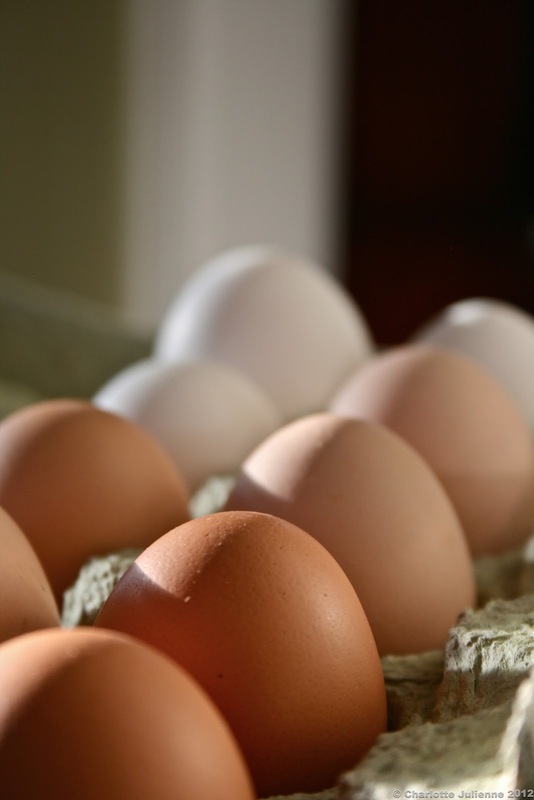 Here in Lenox we have some lovely neighbors who often drop off fresh eggs at our door step. We try to take advantage of this by using them as soon as possible for breakfast or baking. Today was one of those lucky days where we woke up, took the dog out and discovered a carton of eggs gently balancing on the post to our steps. Sift together the dry ingredients and then add to the egg mixture. Add in the lemon extract and the salt followed by 2 teaspoons of lemon juice and the milk. We often bake this bread in a typical bread pan. Today we decided to use a copper mold to make the finished product a little more festive for the holidays. Bake at 350 for about an hour. For the glaze we mixed lemon juice with sugar. Although the recipe calls for 2 Tablespoons of each, we tend to go a little overboard as we like ours lemony and sweet. 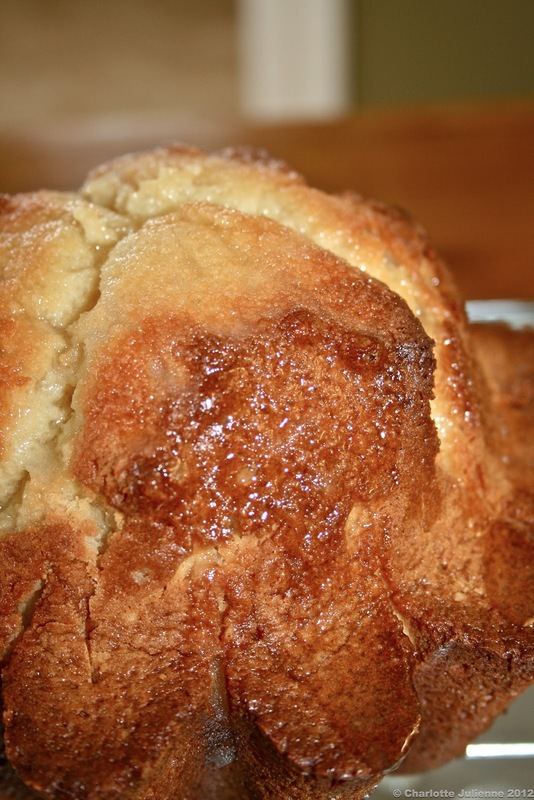 When you take your cake/bread out of the oven allow it to cool and then poke it with a knife and drizzle with the glaze. Normally this is the end of the recipe. As I mentioned earlier we wanted to change it up a bit this time so in the glaze we added some dried tarragon and then drizzled to the top. By poking the bread/cake with a knife the sweet lemony mix oozes into the bread/cake and allows the texture to be moist. Great for a snack or breakfast it is one of our favorites and will always be one of my favorite recipes that my grandmother left behind.